CFOs of lower mid-market private equity firms are facing mounting demands on the back and middle office, but finding the right release valve for fund administration duties is not always so simple. Private equity chief financial is a role that seems be constantly expanding, with an egrowings list of fund administration responsibilities falling in its purview – from tax and portfolio reporting to responding to LP demands. They can no longer handle all these tasks on their own and need to choose between hiring internally or outsourcing specific functions. pfm gathered two CFOs and two fund administrators in New York in October to discuss how a CFO can address private equity fund administration in 2017. “The CFO role has evolved immensely from when I started talking to CFOs in the community 15 years ago,” says Jeff Gendel, a managing director focused on business development at fund administrator Gen II Fund Services. In the past few years, the tax function has also grown significantly and added complexity. Josh Cherry-Seto, CFO at Blue Wolf Capital Partners, explains that his rm has become more involved in ow-through investing, which has resulted in a number of administrative implications. Tax is a function that fund administrators have not yet fully figured out yet, despite its growth. CFOs have also received mounting inquiries from limited partners on fees and transparency – via the Institutional Limited Partners Association fee and expense template – and on portfolio company monitoring. With the release of the ILPA fee template at the beginning of 2016 and the wider adoption from LPs, GPs are having to collect more data and communicate it to their investors. But the broad approach of the template, which some see as a long list of requests for data without any description of the concrete intent behind the collection of information, has created challenges for GPs. It can be particularly di cult to adopt for older funds. “The amount of information per portfolio company and the amount of reporting on fees and expenses can be significant when you are thinking of adopting the fee template for an earlier vintage fund with several years of capital activity and numerous portfolio investments behind it,” says Dalmau Garcia, general counsel and chief administrative officer at South American-focused rm Victoria Capital Partners, which has adopted the ILPA fee template for its most recent fund. For lower mid-market funds with a dozen or so of portfolio companies, it does not always make sense to automate the data collection for the ILPA template through technology. is is also true for portfolio monitoring. “Trying to standardize portfolio company reporting into a one-size- fits- all iLevel spreadsheet or model can be counterproductive, disproportionately time-consuming, and inefficient when you are trying to do the standardized reporting for a relatively small number of companies, especially when those companies have different accounting standards,” says Garcia, pointing out that Victoria has about a dozen active portfolio companies throughout Latin America. As portfolio company monitoring places more demands on CFOs’ time, the role of fund administrators is growing for basic functions. “Many CFOs are being asked to focus more on the underlying portfolio company in addition to the fund’s accounting needs, in part because of the demand from LPs regarding portfolio company performance,” says Gendel. Outsourcing to fund administrators can address some of these demands, especially for functions that are less specialized. Hiring internally can be challenging for some lower mid-market and mid-market rms that find it hard to retain talent in the current tight labor market. But outsourcing also comes with its own challenges. 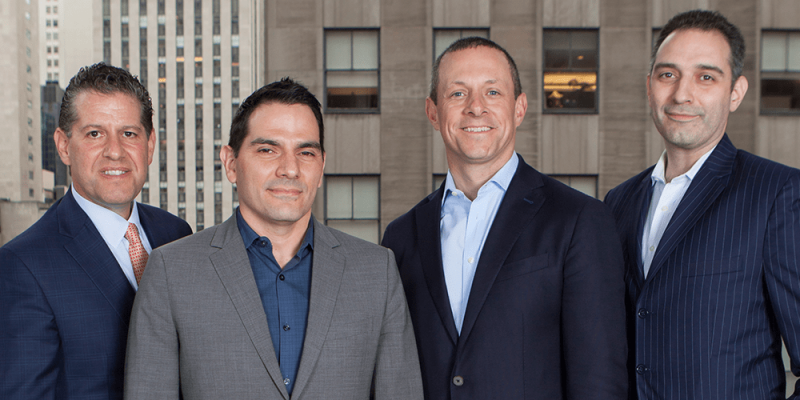 “For most rms of our size, I think LPs prefer if we outsourced the basic fund administration function, but at the same time, you can’t be fully outsourced especially because of fund administrators who have huge turnover,” says Garcia. AlterDomus’s Trinkaus, for his part, acknowledges that addressing turnover in the industry has been a big focus for AlterDomus. The CFOs and fund administrators gathered for this discussion agreed that technology will eventually help address many of these challenges, but it’s still early days for that.